Sometimes the dread of something is almost always worse than the real thing. When I had health breakthrough #2, (food allergy diagnosis) it was late October. I had surrendered to the need for meds in a few previous winters, but I was now so much healthier I had been off them for quite a while. Still, I was nervous. What if the winter is really long, and I fall back in?! 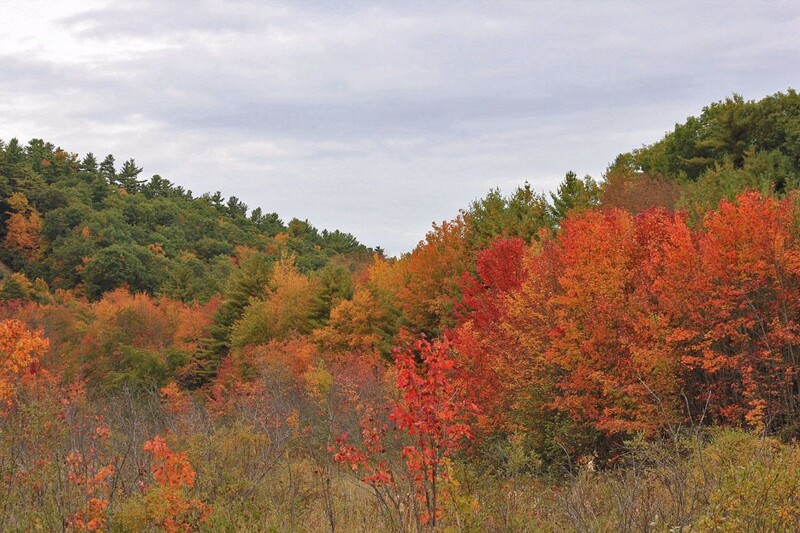 Took a side road today to find some color- it's just really starting to turn around here! Cozy wood-stove fires. 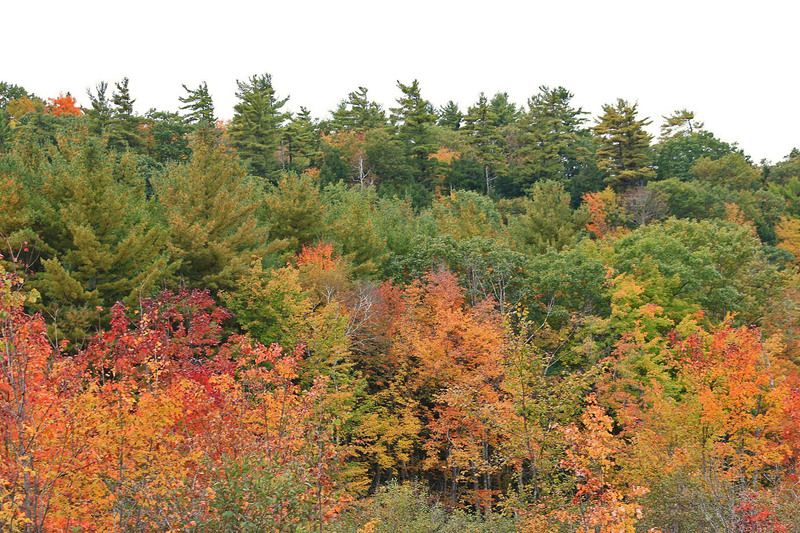 Gorgeous fall foliage. Comfy sweaters and jeans. Hot chocolate. Tea- LOTS of tea! Still a long way to go to "foliage peak!" 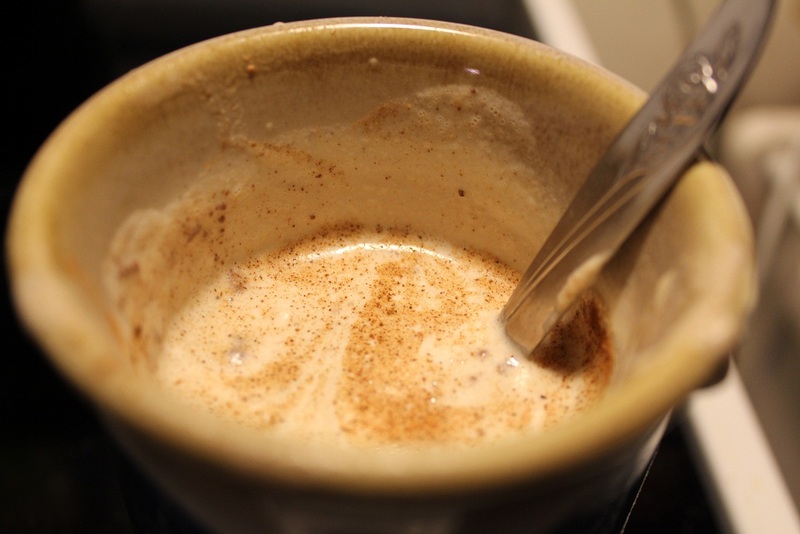 The other day, I was thinking about warm, fall drinks- you know, the sweet frothy ones with cinnamon sprinkled on top, the kind that people drink at Starbucks, while I sip “refresh tea,” the only thing I can safely drink there. But don’t feel bad for me! I wanted it to be dairy and soy free, and very cinnamon-y! Then I thought of using an almond milk base. So! I put 3-4 tablespoons of almonds, 1 cup of water, and 2 medjool dates into my Vitamix, and blended it until smooth. (Almond milk comes out nice and frothy). 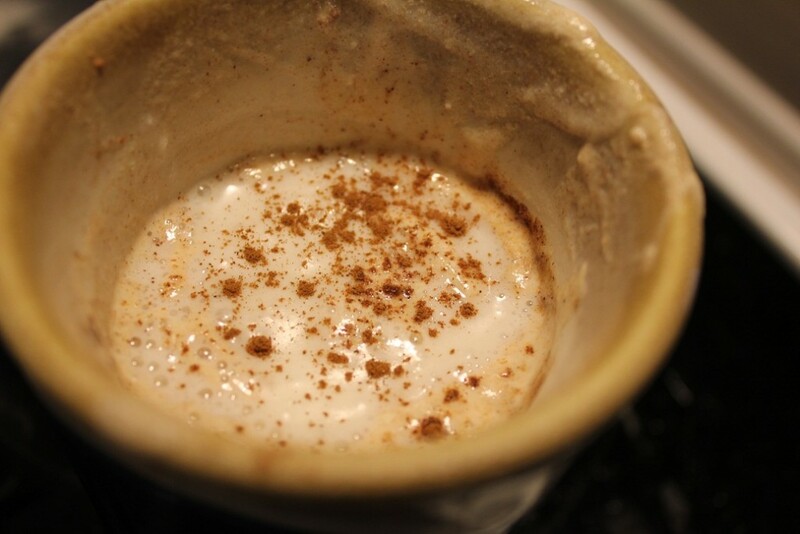 I poured it into my cup and added a pinch of nutmeg to stir in. Then heated it up until it was just hot enough in the microwave (about 30 seconds). (You can strain the milk if you have texture issues. Sometimes I do, sometimes I am too lazy). Then I wanted to try for even a little richer, more desert-like, drink, so I whipped up some coconut milk, with a little almond flavor, and some maple syrup, to drizzle on top. And sprinkled some cinnamon on top! The flavor is creamy and rich and just-sweet-enough. A delightful dessert-drink that won’t leave me with a sugar-crash. I am just finishing the last sip, in my rocking chair, next to the toasty woodstove, to the sound of Andy Griffith on the television, and a steady rain falling in the background to complete the cozy atmosphere. P.S. Surrendering to the Shorter Days is a lot easier if I have been Purposeful about the Summer first. This year I opted for the beach whenever I could, and ate simpler meals and let the laundry pile up just a little in order to be outside more. Who needs heavy meals and lots of clothing when a burger and a salad and a bathing suit does the trick? Last fall, I started the school year burnt out from the previous one, because I was so busy all summer, I forgot to do summer. I learned my lesson. I made your drink tonight. . .used coconut milk, because I just learned you can make it from shredded coconut, and a pinch of allspice since my cardamom pods were still whole. I think the coconut flavor probably changes it a bit, but it was still delicious. I’ll try almond milk next time. Thanks for sharing the recipe! That version sounds delicious, too! Thanks!